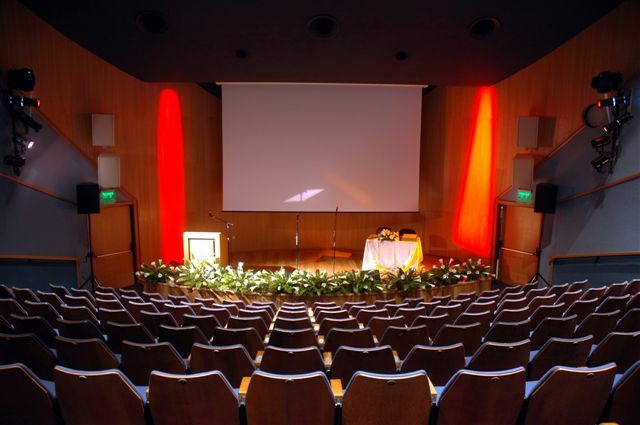 The Museum of the Jewish People at Beit Hatfutsot rents spaces, halls and classrooms for family events, business gatherings, public congresses, seminars, ceremonies, concerts and performances. Fiftieth anniversaries, birthday parties and surprise parties. In preparation for these events, Beit Hatfutsot researches the particular event and uses different media to tell the story of the celebrant. Bar/Bat Mitzvah. These events integrate the family story into the museum using the family tree with the participation of friends and family. During the celebration, the celebrant receives a Friend of Beit Hatfutsot Card good for one year. In addition, the celebrant can enter the family tree into the Beit Hatfutsot genealogy database and thus the information will be preserved for future generations. Pre-marriage family encounters. This is a unique, once-in-a-lifetime opportunity for two families that are coming together in marriage to present their family stories. Gold/silver wedding anniversaries. The story of the celebrating couple in a Jewish context, combining the building of the family tree and registering it in the genealogy database of Beit Hatfutsot. Family reunions. This event, which places the tribal encounter at the center, is one where grandparents, aunts, uncles, cousins, and descendents come together at Beit Hatfutsot for an unforgettable encounter.